To enter the draw simply enter the form located below and we'll email you if you are next months prize winner!! 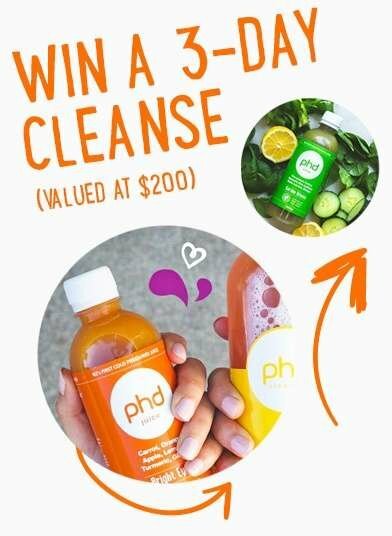 WIN A 3 DAY PHD CLEANSE! I understand that by entering this draw I will also be subscribed to receive nutrition, wellness and lifestyle posts to help with my health.